Unleash Your Creativity. Imagine the Possibilities. 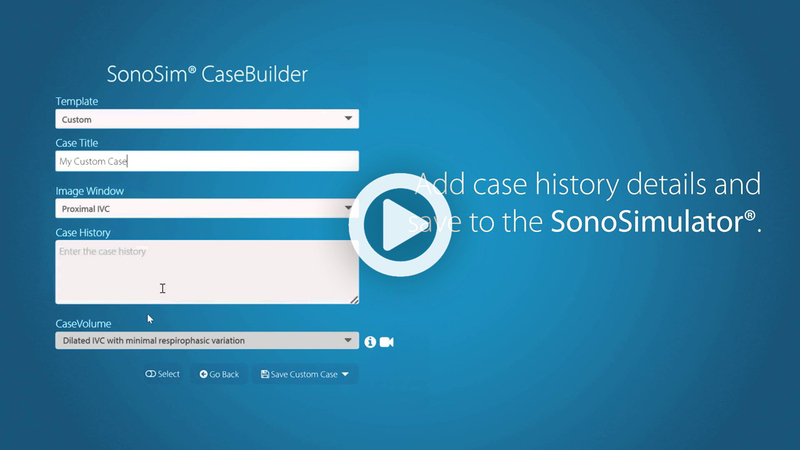 SonoSim® CaseBuilder allows you to create customized ultrasound training cases. This groundbreaking technology unleashes the creativity of ultrasound educators worldwide and allows them to apply their knowledge. 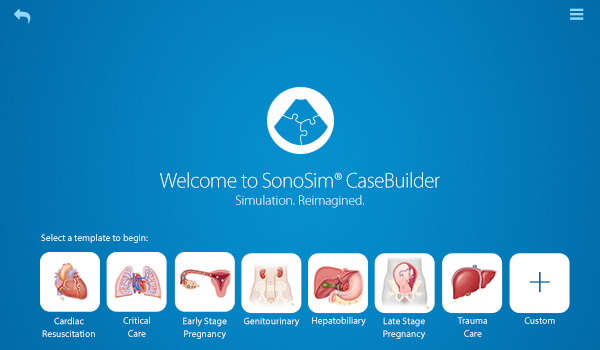 SonoSim® CaseBuilder is a SonoSim LiveScan® add-on feature, and further extends its ultrasound simulation capabilities. 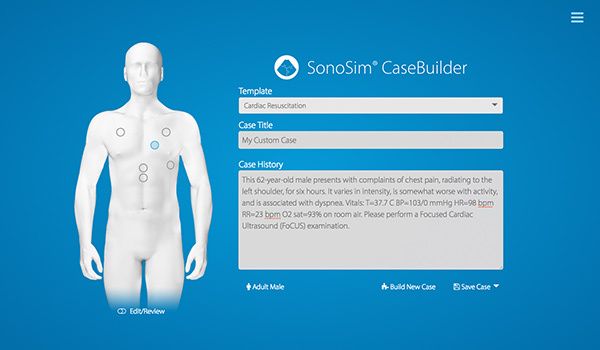 SonoSim® CaseBuilder is available as a SonoSim LiveScan® add-on feature. 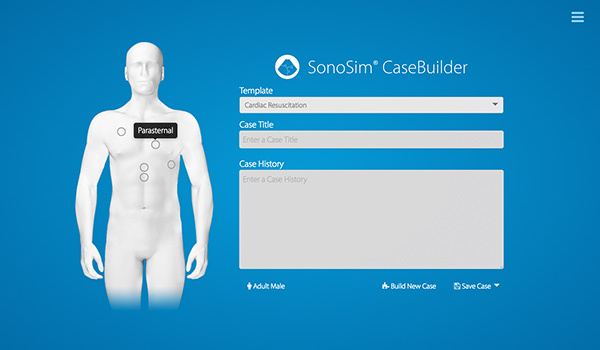 Using SonoSim® CaseBuilder, ultrasound instructors select from a series of ultrasound imaging protocol templates or create a customized imaging protocol. Instructors then seamlessly review a series of ultrasound data sets and import either normal or pathologic findings into a designated ultrasound imaging window. 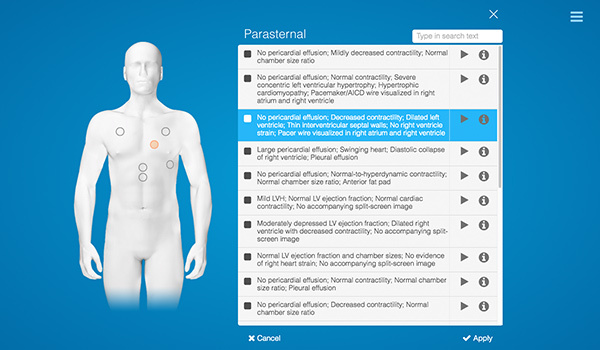 Instructors are able to publish the ultrasound training case with a touch of a keypad. 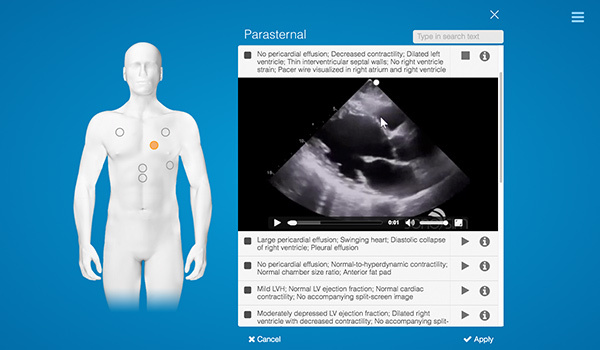 Learners can train on the newly created case using SonoSim LiveScan®. With hundreds of SonoSim LiveScan® ultrasound data sets to choose from and multiple imaging window combinations, the possibilities are limitless. Step 1. Select an ultrasound imaging protocol. Step 2. Click on ultrasound imaging window. Step 3. Browse available ultrasound findings. Step 4. Review expert instructor Findings video. Step 5. Author a case history, save, and publish case. Step 6. Scan new case with SonoSim LiveScan®.